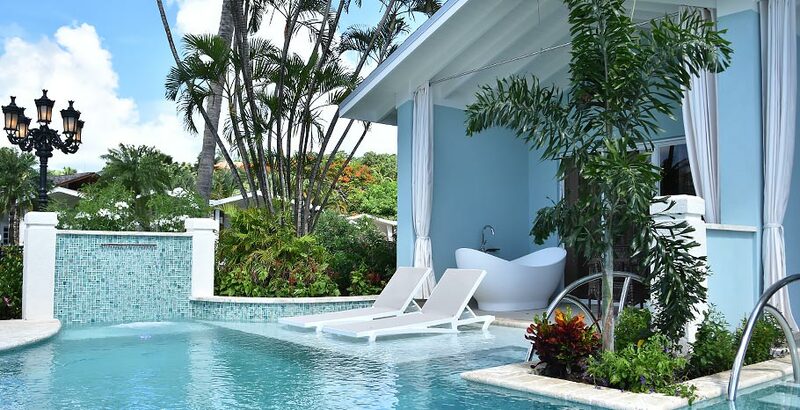 The newest Swim Up Suites in the Caribbean are here! 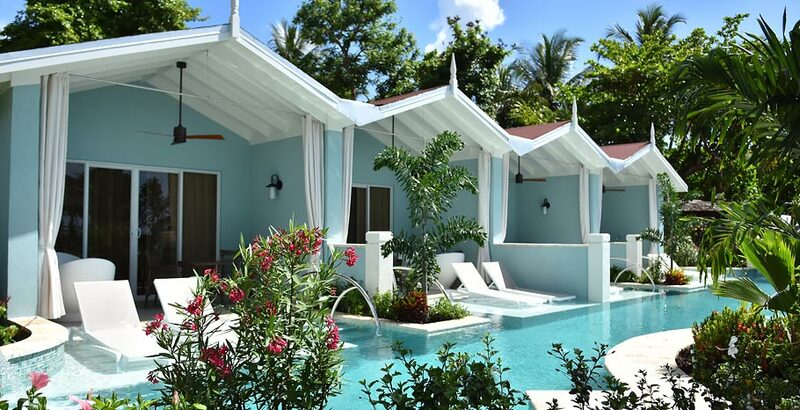 Sandals Resorts said it has opened new Beachfront Crystal Lagoon suites effective Aug. 29, at Sandals Halcyon Beach in St. Lucia. The suites are steps away from the beach and feature swim-up access from the Crystal Lagoon pool. 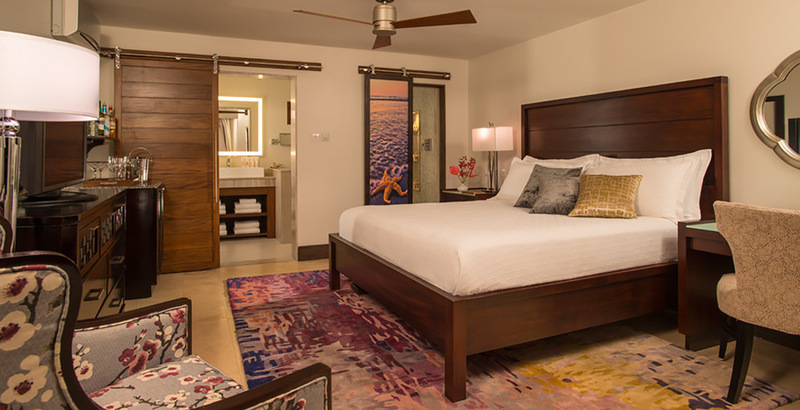 The new rooms offer views of the Caribbean and tropical landscape surrounding Sandals Halcyon Beach. Each patio offers a soaking tub, around which guests can draw privacy curtains for maximum romance. Inside the new Butler Elite escapes, guests will find a master bedroom with contemporary hardwood furnishings, a king-sized bed and a large HD Smart TV. The spa-style bathrooms include a soaking tub, oversized walk-in showers, dual back-lit mirrors, his-and-hers sinks and mosaic tile accents. 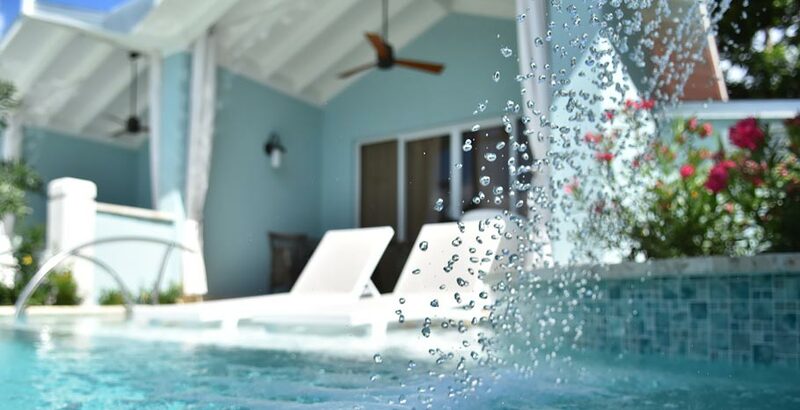 This romantic Butler Elite escape is located just steps from one of St. Lucia’s finest beaches. Convenient swim-up access from your patio to the tranquil Crystal Lagoon pool provides the perfect vantage point to observe striking views of the Caribbean Sea and lush tropical landscape. If you prefer a more intimate experience, draw the privacy curtains on your patio and relax in your outdoor Tranquility Soaking Tub made for two people in love. Retreat indoors and you’ll find an airy master bedroom complemented by the finest contemporary hardwood furnishings, a plush king-size bed, large HD Smart TV as well as a lavish spa-style bathroom showcasing a luxurious soaking tub, oversized walk-in shower as well as a large double vanity featuring dual back-lit mirrors, his & hers sinks and mosaic tile accents. Quench your thirst at a fully-stocked bar including top-shelf liquor, local beer, juices and soft drinks or satiate your appetite by taking advantage of your 24-hour room service and the services of your own personal butler. WHERE WILL THE SWIM UP SUITES BE LOCATED? When Is Beaches Turks and Caicos Closing? Sandals Resorts 12 Days of Christmas Giveaways Revealed! How To Get An Additional 7% Off ALL Sandals Resorts Promotions! Do Sandals Resorts and Beaches Resorts Have Free Wifi? Beaches Turks and Caicos Grand Re-Opening!